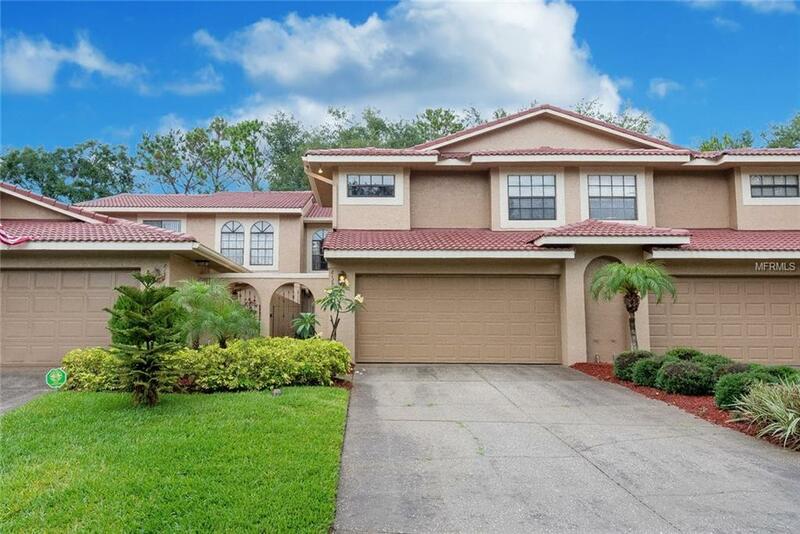 **Sought after DR. PHILLIPS area - just 15 minutes from the parks! ** The Sandpointe community is convenient to everything Orlando has to offer. No more mowing the lawn, trimming the hedges, or worrying about roof repairs the HOA fees include a plethora of amenities, lawn, exterior & roof maintenance, plus a termite bond for your peace of mind. Located in a GATED COMMUNITY, this stunning townhome features boasts views of the tennis courts, A NEW FRIDGE, plus plenty of entertainment space. The kitchen is designed with the home chef in mind with plenty of counter & cabinet space, quality appliances, and a breakfast bar. The kitchen overlooks the spacious living and dining area with two sliding doors allowing abundant natural light to shine in. Escape to your master suite with a master bath boasting dual sinks, a garden tub, and a separate walk-in shower. Gather with guests and family in the extensive screened lanai with views and easy access to the community tennis courts. This serene community offers a community pool, double tennis courts, a fitness center, and shuffleboard courts. Excellent proximity to the best of Dr. Phillips living. Easy access to Trader Joes. Conveniently located minutes of Orlandos Restaurant Row, plus easy access to I-4, and all of the exciting entertainment, shopping, and dining at Disney Springs, Disney World, Universal, & more. Only 25 minutes to the airport. You will be impressed with this move-in ready townhome zoned for top-rated schools! Additional Lease Restrictions No Short Term Rentals Allowed - Minimum 12 Months. Buyer To Verify Leasing Restrictions With Hoa And/Or City/County.